A stunning Frank Sinatra framed RIAA Gold Disc Award, with rare / authentic Frank Sinatra autograph displayed ! This genuine RIAA award was to commerate over 500,000 copies of the CD "Nothing But The Best" , and comes with the official RIAA hologram and plaque. 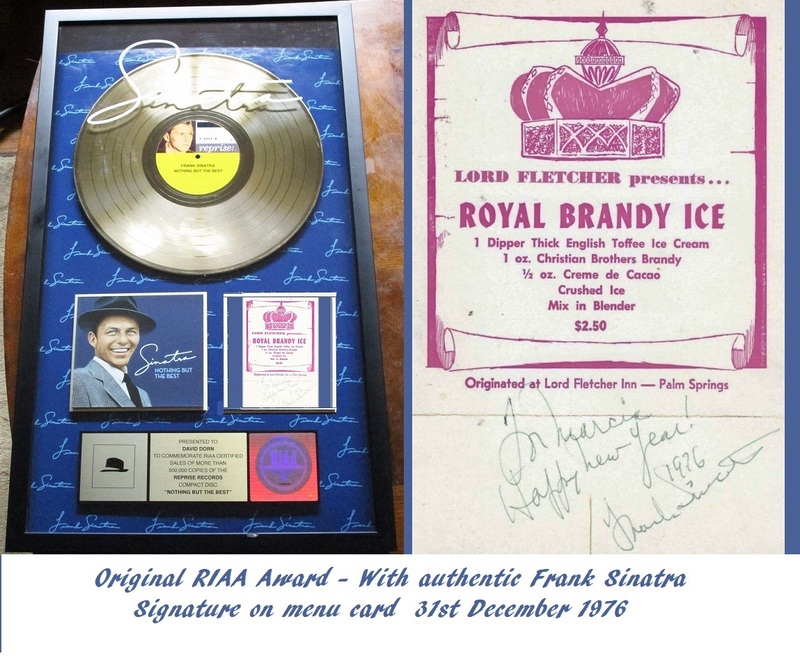 The signed menu card (now added for the ultimate display piece) was obtained at the Lord Fletcher Inn Palm Springs by a fan called 'Marcie' who met Frank Sinatra on New Years Eve 1976. Sinatra was sat at the next table and the fan plucked up the courage to ask him to sign her drinks menu that evening. Includes a typed letter further detailing the history. often entertaining celebrity friends there for 30 years. He celebrated his 75th birthday at this venue. Signed clearly in ball point pen, the menu is in overall excellent condition. Makes a beautiful centre piece, and conversation piece to any collection. 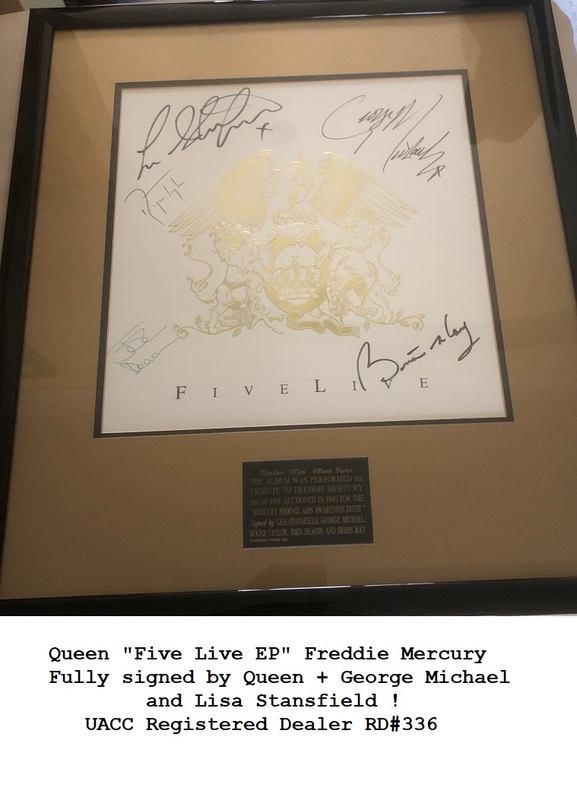 Professionally framed and matted with original authentic RIAA award disc. Note: There is a slight ding on the bottom of the frame. Frank Sinatra (December 12, 1915 – May 14, 1998) - Adds-" Happy New Year 1976". Comes with our own Devon Autographs COA and Lifetime Authenticity Guarantee. Genuine RIAA award disc. Letter Of Provenance supplied for the Frank Sinatra Signed menu card.